Reiki means, quite simply, “spiritual energy.” Some describe this as “universal life force energy” -- the pure, undifferentiated energy that pervades all things and imbues all things with innate sacredness. In the 1910s-20s, Japanese Buddhist Mikao Usui developed Reiki Ryôhô, the practice of cultivating a connection with reiki and directing that energy through the hands to a recipient with the intent of creating a context where healing can happen more easily. Life experiences and stress can interfere with the unimpeded flow of this energy within our physical and subtle bodies. Reiki as a practice supports our bodies in gently removing these blockages, easing open any knots in our system and nourishing our mental, physical, emotional, and spiritual health (which are really all the same). In so doing, our energetic selves come into greater wholeness, and that unity allows us to move through life with greater ease and contentment. As Bronwen and Frans Stiene share in The Reiki Sourcebook, reiki is a “non-manipulative, non-invasive, and non-diagnostic practice.” Reiki is an intuitive, gentle modality and specific outcomes are impossible to promise; however, there is a growing body of research to support reiki’s beneficial effects. Distance sessions and in-person sessions are slightly different, but there are common aspects to both. Regardless of session type (in person or distance), the experience of reiki varies greatly from person to person. It is always a perfect opportunity for you to relax as deeply as possible, and some folks even fall asleep during sessions! Before each session, we’ll chat a bit about what’s going on in your life, the concerns that are bringing you to reiki, and what kind of support you’re hoping to receive. Any questions you have about reiki will be discussed as deeply as needed, including practical considerations and the theory behind this incredible healing practice. After the session, we’ll chat about your experience and address any questions you might have. I’ll explain any self-care practices that make sense for you based on the session, too. Please keep in mind that first-time sessions will require up to 40 minutes of additional discussion time total! In the hours and days after a reiki session, you might feel things shift a bit internally and externally. It’s always important to eat well, drink enough water, and get enough sleep, but this is especially true after a reiki session. Make sure to record any changes you notice and any dreams you have, too. It’s extremely important to me to continue supporting folks after they’ve had a session, so I encourage all of my clients to reach out to share how things are unfolding and to ask any questions as they arise. Since reiki operates within the subtle energetic realm, physical distance isn’t a barrier to receiving treatment. That being said, distance reiki sessions do involve a call of some kind -- we might use Zoom, Skype, Facetime, Whatsapp, or a regular old phone call. As shared above, we’ll start by discussing a few things, including the theory behind why and how distance reiki works. You’ll want to be in a physical location that allows you to relax as much as possible. The most common choices are on a bed or on a couch, but the important thing is for you to be warm enough and comfortable. After we’ve had our initial chat, I’ll mute things from my end in order to not disturb you as I enter the meditative state of sending distance reiki. On your end, I simply recommend just relaxing and observing any physical sensations, emotions, thoughts, or visions that come up. As with in-person reiki, the experience varies from person to person and from session to session -- remember there is no such thing as a “right” way to experience reiki. Prior to an in-person session, we’ll talk about those things outlined above, as well as your comfort with hands-on touch, including any non-obvious no-go zones you may have. Reiki is most commonly considered a hands-on practice, but benefits are still received with hands hovering instead -- this makes reiki an excellent option for those who are uncomfortable with touch for whatever reason. During treatment, I will place my hands gently on or just above your body. You will remain fully clothed, and relax on a massage table or on a chair. 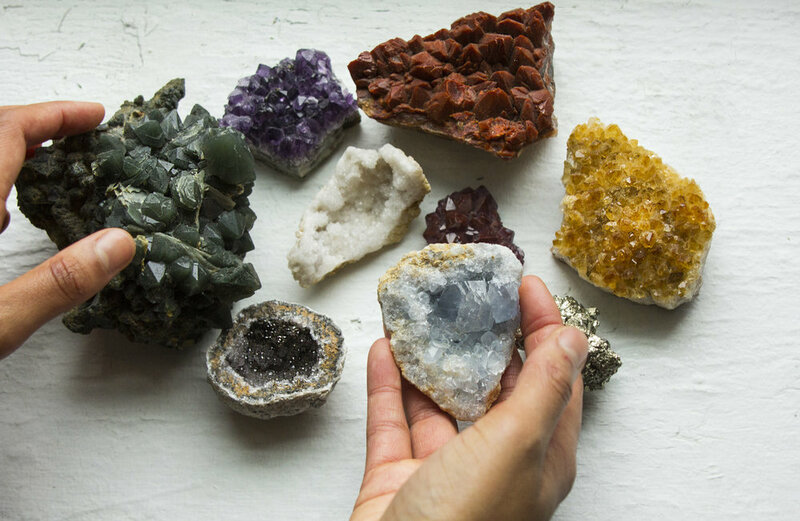 Based on the conversation we have before the session, I may place a handful of appropriate stones and crystals on the relevant energy centers of your body, and if you’d like, I’ll also provide you with an eye covering. Using my hands as an intuitive guide, I will locate those areas that most need reiki. You may feel warmth, cold, tingling, or nothing at all; some people will have dream-like visions, while others drift into thoughts about yesterday’s meeting or tomorrow’s groceries. Everyone’s experience of reiki is different, and the same person going to the same reiki practitioner can have vastly different experiences from session to session. There is no one “right” way to experience reiki; your only job is to be as receptive as possible. I currently offer one stand-alone workshop for reiki practitioners (attuned to level 1 or higher), and co-lead a workshop series with Rosé Hernandez of The Energetic Body. Reiki Anatomy looks at basic anatomy as it directly relates to reiki practice. A general understanding of our nervous, circulatory, and endocrine systems deepens the knowledge that supports our intuition when providing reiki to clients, and facilitates clearer communication with other health professionals. This is a two hour workshop. A packet of materials is provided, along with demonstrations of gentle, noninvasive touch techniques to incorporate into reiki sessions. Participants must provide proof of attunement. Two of Roses is a workshop series designed to demonstrate how reiki can work collaboratively with other healing practices. Please follow Damascena Healing Arts and The Energetic Body on Facebook or Instagram for updates! Please email me if you have questions about workshops or would like to collaborate with me!